We all love to be in the know about the latest and greatest beauty products, but Flashback Friday will focus on older products I have in my stash. 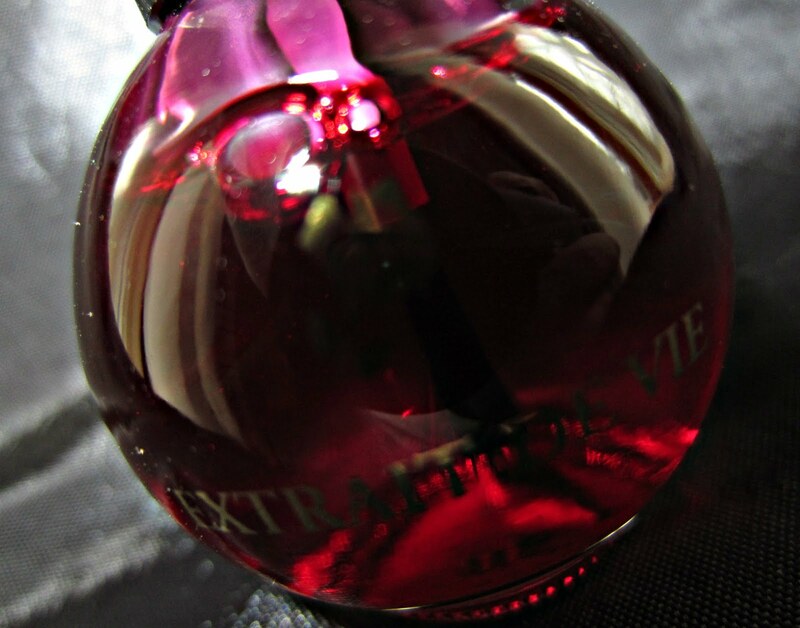 I don't know about you, but there are many products I have that are somewhat sentimental to me--much like songs or music, these products remind me of a certain time in my life. 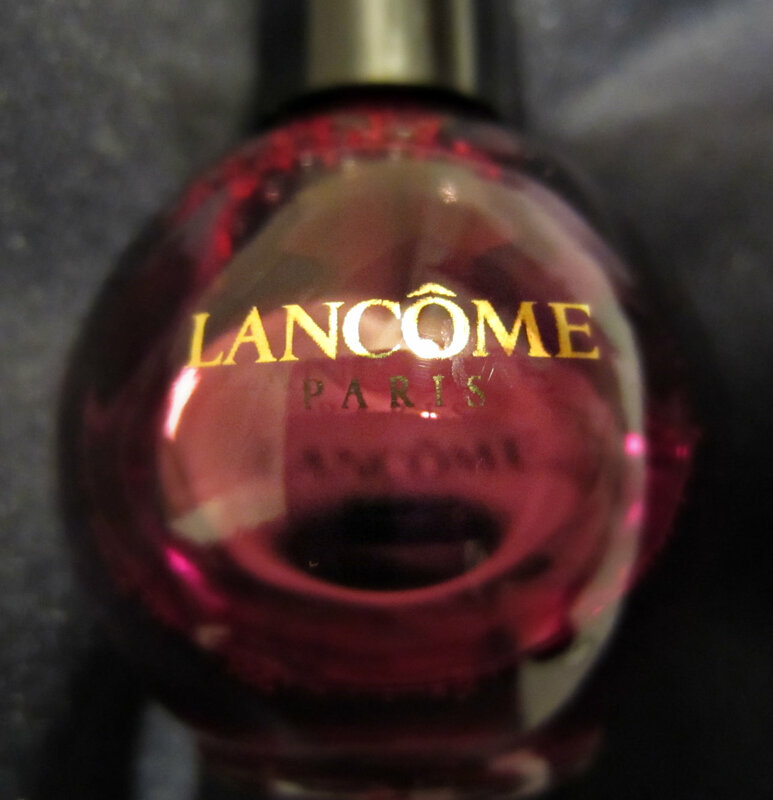 Today's flashback is circa 2001, and it's a limited edition product that Lancome offered. 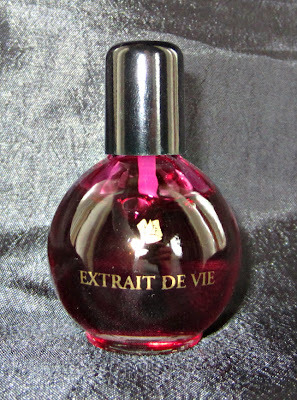 Extrait De Vie for Lips & Cheeks was probably my first experience with a color stain product. I love the round bottle design and the simple elegance of the gold lettering and the Lancome rose logo. 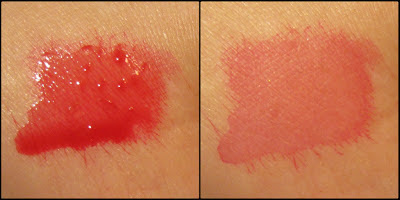 Here's a quick swatch first applied, and then blotted. The "just bitten" or "flushed" look lasts for 4-5 hours, but as you can see around the edges, it does bleed a bit. 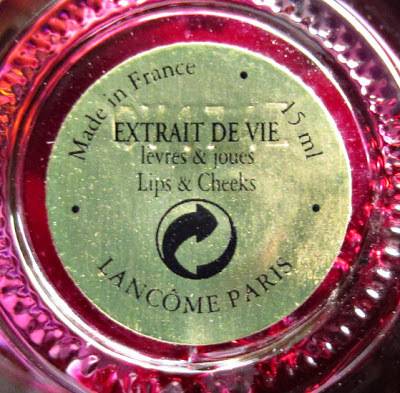 I never used it as a cheek chain, just a lip stain.